The Korean Broadcasting System (KBS) debuts a brand, new crime comedy, My Fellow Citizens!. It stars Choi Siwon, Lee Yoo-Young, and Kim Min-Jung. The question is if K-drama fans should be excited about the upcoming series? According to the synopsis provided by KBS, My Fellow Citizens! (Gungmin Yeoreobun) — also known as Fellow Citizens! — is a K-drama about a conman who gets involved in unprecedented situations. 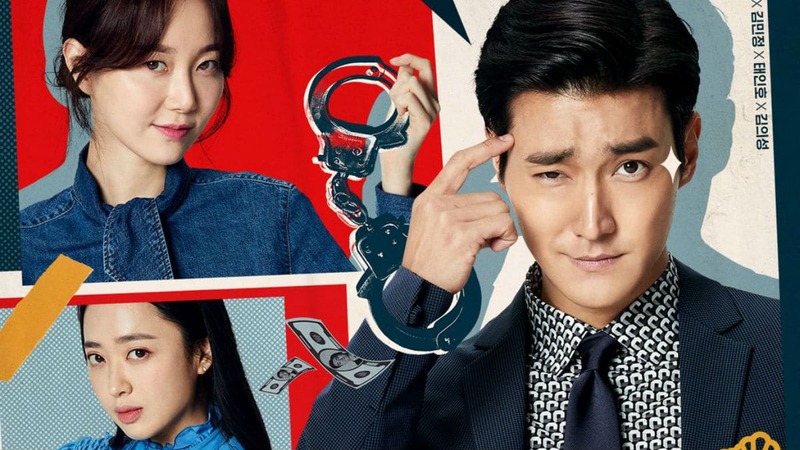 Yang Jung-Kook (Siwon) is a 3rd-generation member of a skilled fraudster family. He gets involved with a loan shark in order to earn a big sum of money for his wedding only to get scammed by his ex-girlfriend who runs off with the money. Kim Mi-Young (Lee Yoo-Young) is a police detective who catcher her ex-boyfriend cheating on her. However, fate comes around and she meets Yang Jung-Kook. The two end up loving each other and Mi-Young keeps her job and relationship a secret until their marriage day. Finally, Park Hoo-Ja (Kim Min-Jung) is the daughter of Park Sang-Pil, the notorious loan shark Yang Jung-Kook conned. After her father’s death, she tracks down Jung-Kook. In a twist of fate, she does not want revenge but offers to “save his life” as long as he runs for a seat on the National Assembly. These situations plus his relationship with the women make Yang Jung-Kooks life very interesting. In turn, K-drama fans might be on the edge of their seat wondering what happens next. My Fellow Citizens! features Choi Siwon. Also known by his mononym stage name Siwon, he is a member of popular K-pop boy band Super Junior. This K-drama also marks his second series after his discharge from mandatory military service after Revolutionary Love alongside Kang So-Ra. Popular for her role in K-drama Tunnel, Lee Yoo-Young is fairly new but known more so for movies. My Fellow Citizens! is technically her first comedic K-drama she’s acted in as her previous work pertaining to television has been more serious roles especially melodramas. Finally, Kim Min-Young is coming right off of her role in the highly-successful Mr. Sunshine, one of the first K-dramas to find international success on Netflix. In short, My Fellow Citizens! is a star-studded K-drama with the backing of production companies Monster Union and WON Contents. It will run for a total of 36 episodes, 30 minutes long from April 1, 2019, to May 28, 2019. When and where can K-drama fans watch My Fellow Citizens! The debut episodes recently aired on April 1, 2019, at 10 p.m. KST. Subsequent episodes will air on Mondays and Tuesdays at the same time, two episodes per day. For international audiences, My Fellow Citizens! is available to watch for free, with ads, on Rakuten Viki.